A good is defined as precious as it is rare. 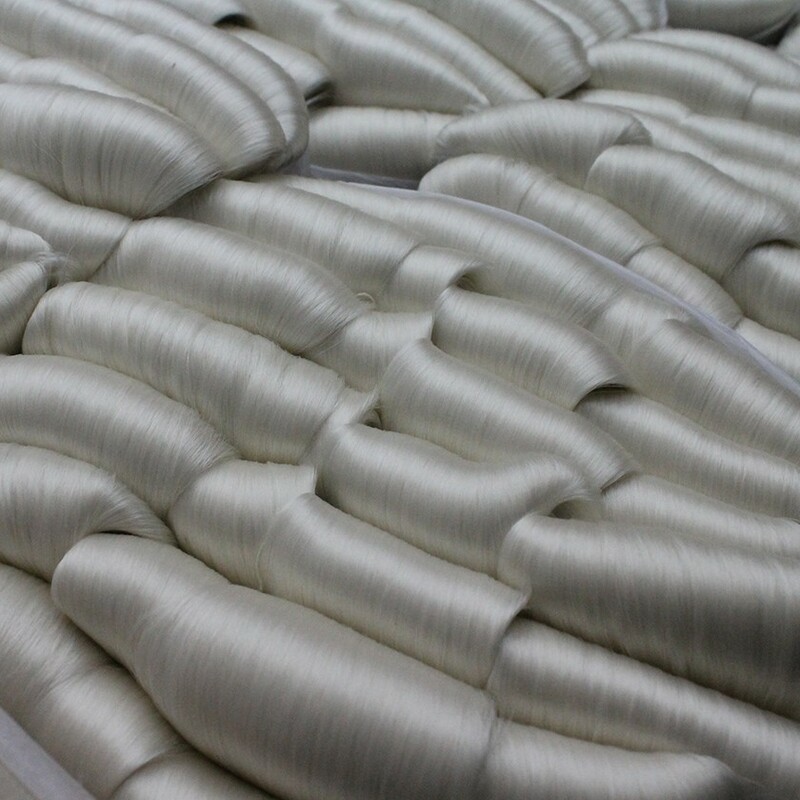 Nowadays, the silk production accounts for the 0.2% of the world’s usage of textile fibers. In fact, already in ancient Rome silk was exchanged at the same value gold was. The charm and elegance of this fiber is the result of the union between man and nature since 5000 years. During this length of time, the techniques regarding the processing and selection of the worm races have been refined. Today, the market offers a wide range of silk: from the most regular and refined Mulberry silk to the Tussah silk, or wild silk, obtained by the cocoons of dozens of wild species of Lepidoptera. The evolution’s outcome is a unique product, which has always been imitated, thus, it has been kept as a treasure in order to make the most precious fabrics. Ongetta is one of the world leading companies in this industry. It guarantees the complete traceability of its products, from the silkworm eggs distribution to the final yarn. The company constantly invests in research, development and innovation in order to maintain its high quality standards. It does so by following an eco-sustainable path throughout its guaranteed and controlled supply-chain. To support these values as well as the market needs, Ongetta has signed the Greenpeace Detox commitment and get certified for the production of GOTS yarns. This sustainable development occurs through the mindful use of the Earth resources indeed Ongetta always wants to be side by side with nature.